Although vehicle manufacturers are required to comply with a series of strict testing procedures before they can sell a particular model on the market, an alarming number of unsafe vehicles still make it onto the road every year. 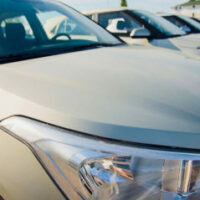 Unfortunately, even when these vehicles are recalled, affected parties are still at risk of sustaining serious injury. Determining liability in these cases tends to be a complex process, so if you were injured in or by a vehicle that was recalled, it is important to retain an experienced automobile defect attorney who can help you seek compensation for your losses. When are Vehicle Recalls Issued? Regulating the safety of vehicles in the U.S. is the responsibility of the National Highway Traffic Safety Administration (NHTSA), which can force manufacturers to recall vehicles if those products don’t meet federal safety standards. Vehicle manufacturers also have the option of issuing direct recalls on their own after discovering a defect with one of their products. In either case, recalls are overseen by the NHTSA, which is tasked with ensuring that the recall is conducted in compliance with federal law. For instance, when a vehicle has been recalled, manufacturers must directly inform all owners of the affected model by sending a notification in the mail that offers a detailed explanation of the reason for the recall and how the car owner can resolve the issue. The manufacturer and the NHTSA disagree on the recall. In the event that a car owner repaired the problem before the recall was issued, he or she is entitled to a refund for the cost of those repairs. Vehicle manufacturers are generally held strictly liable for any injuries caused by a defectively designed or manufactured product that they placed on the market. However, this issue can become much more complicated if the injured party’s vehicle was recalled, but the owner failed to have it repaired. In these cases, courts will take into consideration how much time lapsed between the recall notice and the accident. If, for instance, an accident was caused by a defective part and occurred only a couple of days after the owner received the recall notice, then the manufacturer could still be held liable for the injuries. If, on the other hand, the owner received the notice, but failed to take any steps to have the vehicle repaired for weeks or months before being injured, then the court could require the parties to share responsibility for the accident. To speak with a dedicated Fort Lauderdale vehicle defect attorney about your own recall-related questions and concerns, please call Boone & Davis at 954-566-9919 today.